Micron Filter® system retains up to 99% of pollens and dust. Powerful, 5-amp maintenance-free motor; polycarbonate motor hood. Handle positions horizontally for extended reach under low furniture. 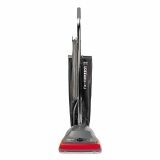 Sanitaire Commercial Lightweight Upright Vacuum, Bag-Style, 12lb, Gray/Red - Commercial upright vacuum offers 5 amp maintenance-free motor with polycarbonate hood, 30' three-wire cord, four-position carpet height adjustment, ball-bearing beater bar, brush roll and shake-out heavy-duty cloth bag. 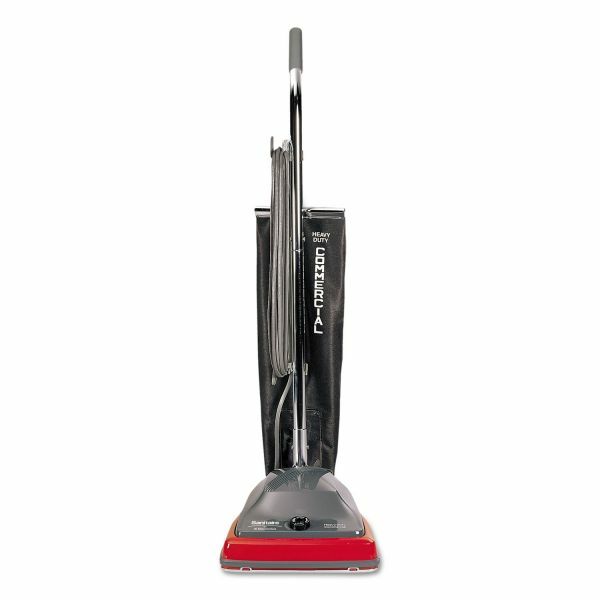 Lightweight vacuum features 12" sweep width. U.L. commercial approved meets OSHA standards.